Almost €500,000 has been provided to 424 households. THOUSANDS OF HOMES and businesses were damaged due to flooding last winter, with Storm Frank having a devastating impact for families over the Christmas period. Since early December, financial support has been provided to some 424 households at a cost of over €498,700. Galway had the highest number of applicants that received the payment with over €99,000 provided for 143 households. The next in line was Cork with almost €120,000 spread between 63 households. The government authorised spending of up to €10 million when a humanitarian assistance scheme was approved in November 2009. From 2009 to the end 2015, almost €4 million has been paid under the scheme. The overall average payment over the past two months was €1,176. Minister of State at the Department of Social Protection Kevin Humphreys said, “The scheme is demand led and there is a time lag between the flooding event and actual claims for financial support. Works carried out can include plastering, dry-lining, relaying of floors, electrical re-wiring and painting. The OPW will publish its flood risk management plans this summer with flood prevention measures to manage flooding in those areas at significant risk and impact from flooding. 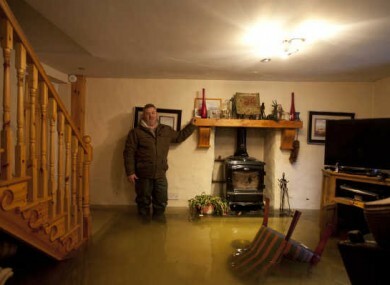 Email “Here's how much has been paid out to flood damaged households in these 22 counties ”. Feedback on “Here's how much has been paid out to flood damaged households in these 22 counties ”.